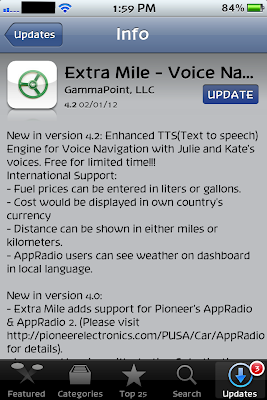 The incredible travel logger app Extra Mile has received an update from its developers today. The newest version 4.2 has quite a few enhancements and improvements. The complete list is below. Enhanced Text To Speech (TTS) Engine for Voice Navigation adding two new female voices. Support for more currencies for fuel cost input. Support for Liters or Gallons as units of measure. Support for Miles or Kilometers for distance measure. AppRadio users can see weather on dashboard in local language. 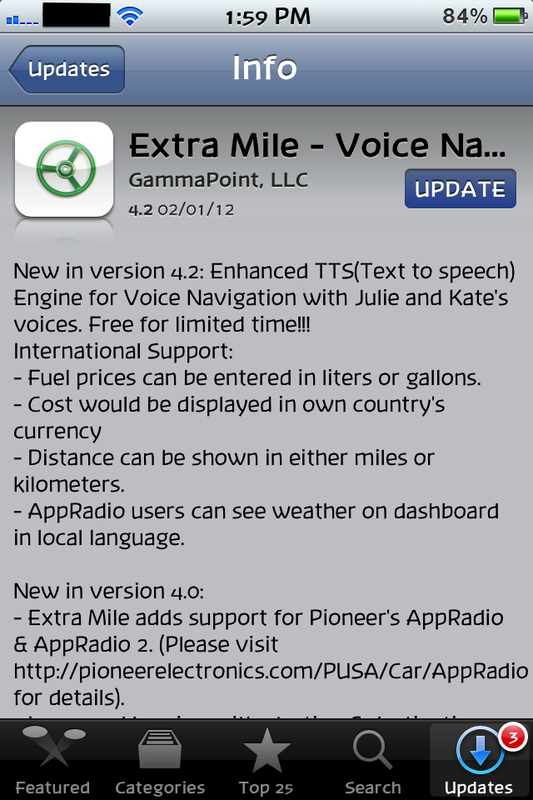 Extra Mile already has a good set of features and functionality and I've been using it ever since it became AppRadio compatible. A more in-depth review of the app can be found here. So head on over to the App Store and grab the update. Happy updating!